Hobie have taken their most successful Mirage Drive Kayak, and improved it once again. With some hull tweaks and updated deck layout, including the H-Rail system, the ever popular Outback has just taken a step forward in terms of kayak fishing. The Outback as standard comes with 4 flush mounted rod positions, fish-finder wiring ready, a drop down rudder system that can be controlled easily from the fingertip , directional control, and x2 accessible watertight hatches for additional storage. Other features which make this kayak the best in its class are the Vantage Seat System, offering unrivalled comfort. 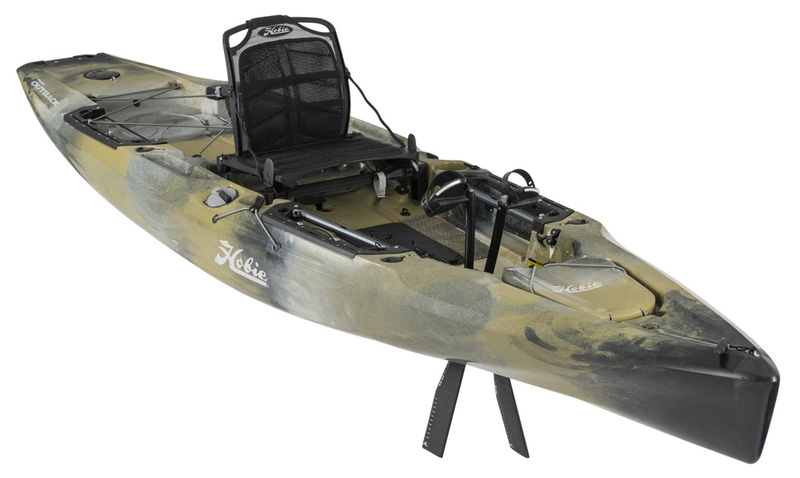 Also the legendary Hobie Mirage 180 Drive System allowing for hands-free fishing. Available in 6 different colour options including a Camo version which also has ST Turbo Fins pre-installed on the on the drive system. New for 2019, the Outback comes with additional features, such as Deluxe H-Rails, Kick-Up Rudder System and sound dampening standing pads. The unique Mirage Drive System is legendary, as no other system come close to its performance, and efficiency. This incarnation of the Mirage Drive is the 180, which means it can be simply reversed to allow the kayak to be manoeuvred backwards, invaluable in tight situations! 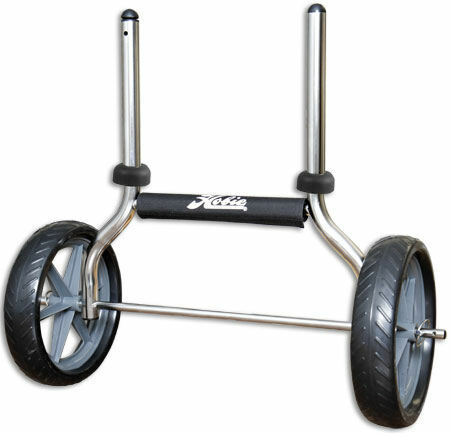 This version has additional technology for a smoother 9gliding’ experience, and can easily be adjusted for paddlers/peddlers of various heights and leg lengths. be simple to achieve in a matter of seconds. 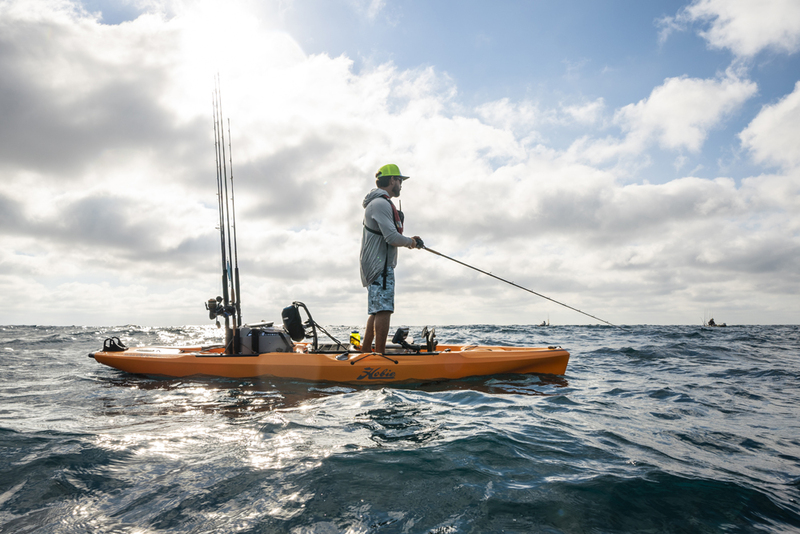 Over the years Hobie has been industry leading in its innovations for kayak angling, and is constantly striving to provide the best, most versatile on deck solutions for practical kayak anglers. Front and rear H-Rails, only found previously as standard on the Pro-Anglers. Non-Slip standing pads for stand-up casting options, with sound dampening properties!? 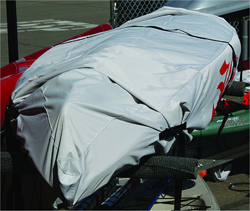 Large, central gear compartment that can easily be accessed on the water. 4x Flush mounted rod holders. Side rubber, mesh storage pockets. To solve the problem of installing a fish-finder transducer into the hull. 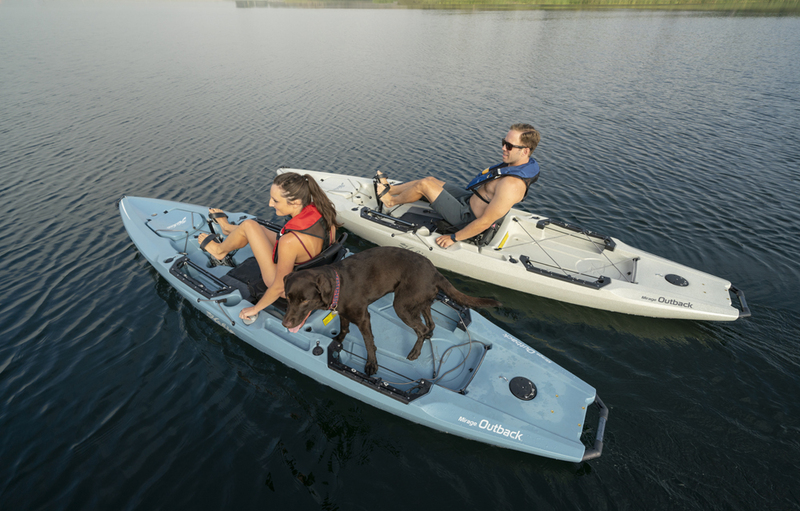 The 2019 Outback has a retractable shield that compresses flush with the kayak hull to protect the transducer against unwanted knocks or shallow water landings. Combined with the thru-hull connections, fitting a Lowrance fish finder to the 2019 is relatively simple, without the need to drill through the hull or mess about with glues and adhesives. The updated flared bow design helps to cut through swell, chop and wake without affecting the efficient forward paddling ability of the Outback. Cleverly built into the bow is a cavernous hatch, which can easily accommodate larger trolleys/karts and extra kit storage. This style of rudder system is simple and easy to use, it also retracts into the hull of the kayak is the user forgets to retract it, and hits an underwater obstacle or enters shallow water. Use the wind to your advantage- the Outback has an integral mast foot so that a Hobie Sail Kit (including mast) can be added to the kayak. See the accessories tab for more information. 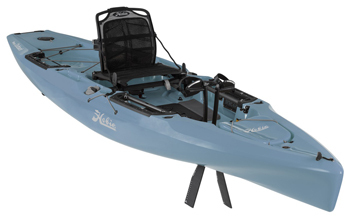 All Hobie kayaks come supplied with a fibreglass paddle, so that the kayak can be paddled like a traditional sit on top, when the Mirage Drive System isn’t being utilised. The paddle splits in half for ease of transport and storage, and can be locked onto the side of the Outback using the handy built-in paddle keeper. We offer a delivery service for the Hobie Outback 2019 throughout the UK & Ireland to home and work addresses. You can buy a Hobie Outback 2019 online from our website and pick it up from ourselves or from any branch within the Canoe Shops Group. There is no cost associated with instore collection*.